Hard rubber is vulcanized rubber which is vulcanized by high-dose sulfur by unsaturated rubber. The use of tire reclaimed rubber instead of natural rubber and styrene-butadiene rubber to prepare hard rubber can significantly reduce the cost of raw materials; and the hard rubber formula produced in tire reclaimed rubber production The use of hard rubber powder as a filler can not only improve the quality of hard rubber, but also further reduce the cost of raw materials; what should be paid attention to when adding hard rubber powder to hard rubber? 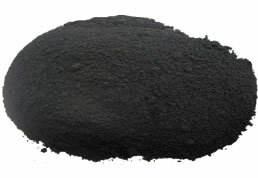 When the hard rubber powder is used as a filler in the hard rubber, the deformation of the hard rubber semi-finished product during storage and vulcanization can be alleviated, the shrinkage rate of the rubber material can be reduced, and the dimensional accuracy of the hard rubber semi-finished product during rolling and extrusion can be improved; To a certain extent, reduce the heat of vulcanization, improve the high temperature vulcanization and processing of thick products. 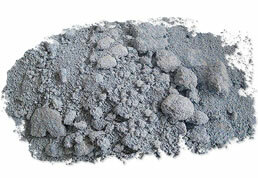 Hard rubber powder is made of hard rubber, which is different from ordinary vulcanized rubber powder. It can be divided into raw rubber, sulfur type hard rubber powder, raw rubber, sulfur and high quality reclaimed rubber according to the content and manufacturing route. Type hard rubber powder, raw rubber, sulfur and inorganic filler type hard rubber powder and waste hard rubber product rubber powder, among which raw rubber sulfur type hard rubber powder and raw rubber sulfur and high quality reclaimed rubber type hard rubber powder quality Better, the surface of the hard rubber produced is smoother and smoother. The pure rubber hard rubber powder processed by sulfur and raw rubber can also make the mechanical strength and electrical insulation performance of the hard rubber optimal. 3. The hard rubber formula with hard rubber powder needs to adjust the vulcanization system. 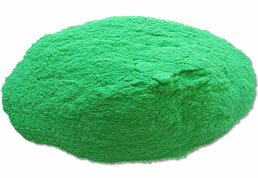 Unlike rubber fillers, hard rubber powders will participate in vulcanization, and some sulfur and accelerators will be absorbed during the vulcanization process. Therefore, hard rubber manufacturers need to adjust the entire vulcanization system, appropriately increase the amount of sulfur and accelerators, and improve the vulcanization effect of hard rubber. And the degree of cross-linking. Although mentioned in the above description, the addition of pure hard rubber powder can make the mechanical strength and electrical insulation performance of the hard rubber to the best level, but in the actual production process, the use of hard rubber powder will reduce the glue. The heat resistance of the material, if used too much will directly lead to the decline of the quality of the hard rubber and shorten the service life, so it is necessary to control the amount of the hard rubber powder within a reasonable range. 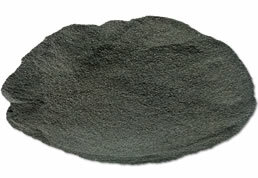 Hard rubber powder is an ideal filler in the preparation of hard rubber. High-quality hard rubber powder can improve the hard rubber property during the preparation of hard rubber with tire reclaimed rubber as the main raw material, but this is not to improve the hardness. The only choice for the quality of rubber products, the indicators of hard rubber are also closely related to the softening system. Are you interested in continuing discussions with Xiaobian?